Thu., 10 Oct. - Fri., 11 Oct. Sat., 29 Jun. - Mon., 1 Jul. Thu., 13 Jun. - Fri., 28 Jun. Mon., 22 Apr. - Sat., 27 Apr. Tue., 23 Apr. - Thu., 25 Apr. Situated in a rural location, this eco-friendly hotel is 1.1 mi (1.7 km) from University of Quebec at Abitibi-Temiscamingue and within 3 mi (5 km) of Club de Golf Municipal Dallaire and Iamgold Arena. Le Petit Theatre is 2.7 mi (4.4 km) away. Situated in Rouyn-Noranda, this motel is 0.6 mi (1 km) from University of Quebec at Abitibi-Temiscamingue and within 3 mi (5 km) of Club de Golf Municipal Dallaire and Iamgold Arena. Le Petit Theatre and Mouska Park are also within 3 mi (5 km). 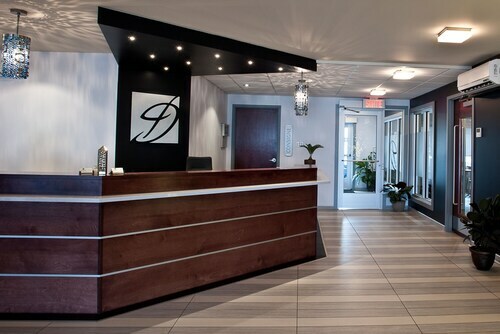 Located in the heart of Rouyn-Noranda, this spa hotel is within a 5-minute walk of Le Petit Theatre and Iamgold Arena. Mouska Park and University of Quebec at Abitibi-Temiscamingue are also within 2 mi (3 km). Located in the heart of Rouyn-Noranda, this hotel is within a 15-minute walk of Iamgold Arena and Le Petit Theatre. Mouska Park and University of Quebec at Abitibi-Temiscamingue are also within 1 mi (2 km). 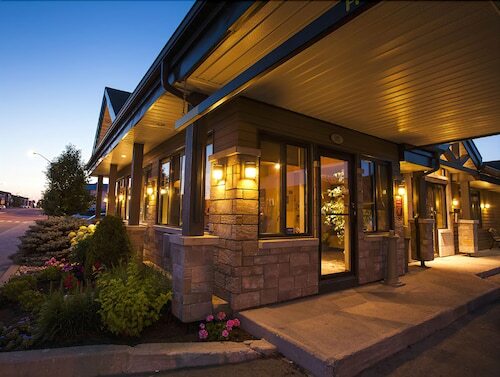 Situated in Rouyn-Noranda, this hotel is within a 15-minute walk of Iamgold Arena and Le Petit Theatre. Mouska Park and University of Quebec at Abitibi-Temiscamingue are also within 2 mi (3 km). 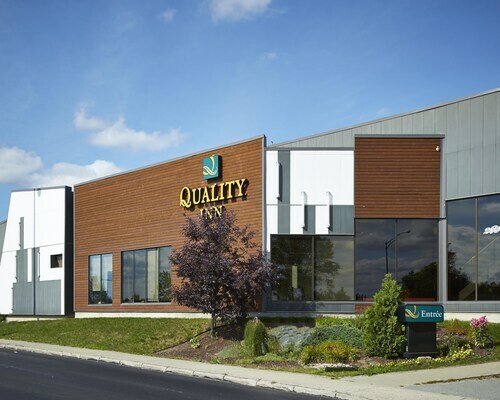 Located in the heart of Rouyn-Noranda, this hotel is within 1 mi (2 km) of Mouska Park and Iamgold Arena. Le Petit Theatre and Club de Golf Municipal Dallaire are also within 2 mi (3 km).